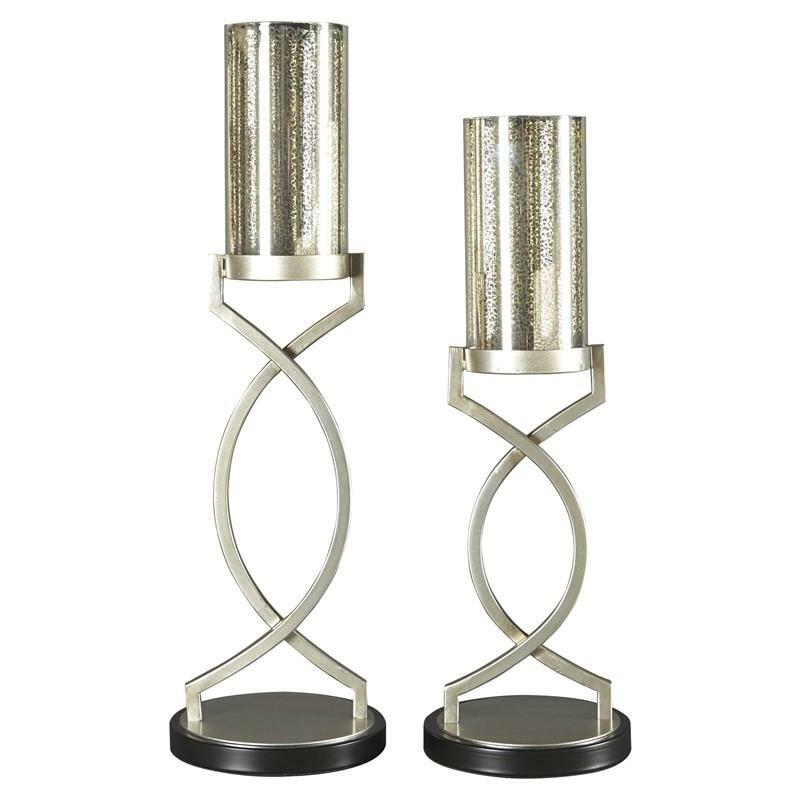 Lighten up with the Signature Design Odele pedestal candle holders. Choice of “tarnished” mercury glass gives this highly contemporary look a mood of rustic romance, for a blend of something old and something new. 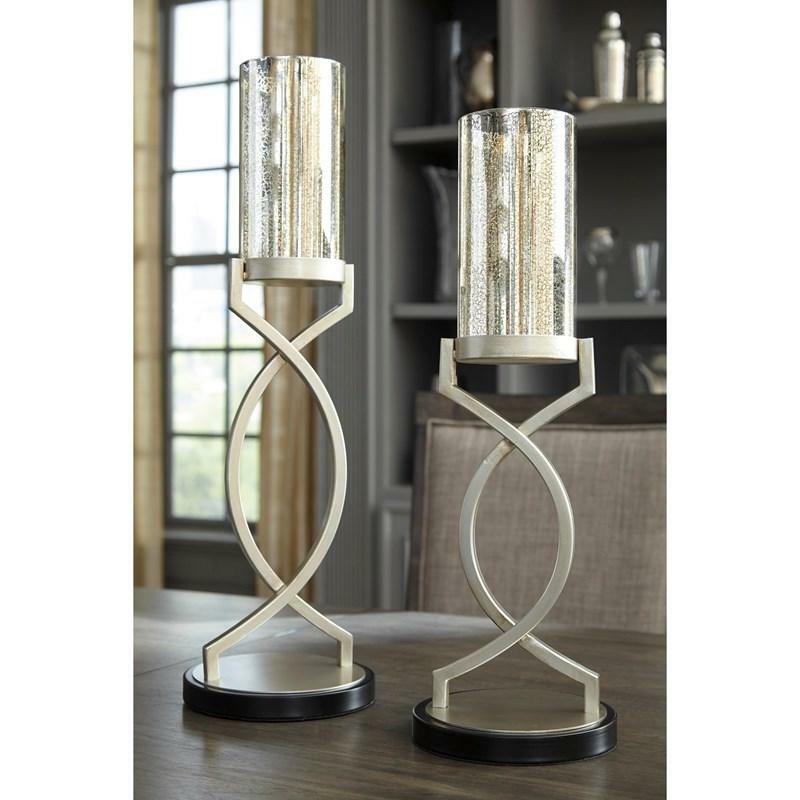 • Candle holder-large 7.00" x 7.00" x 23.00"
• Candle holder-medium 6.75" x 6.75" x 20.25"